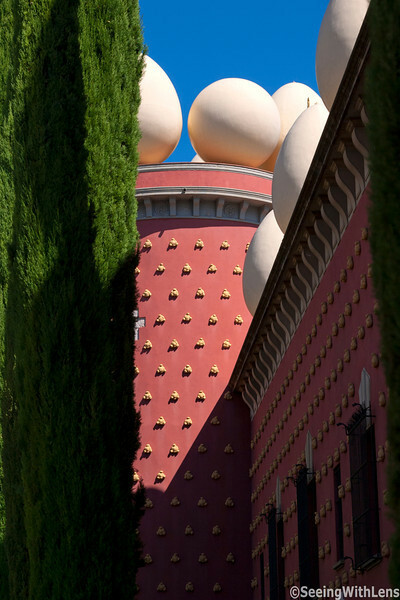 The Dalí Theatre and Museum is a museum of the artist Salvador Dalí in his home town of Figueres, in Catalonia, Spain. The heart of the museum was the building that housed the town's theatre when Dalí was a child, and where one of the first public exhibitions of young Dalí's art was shown. The old theater was bombed the Spanish Civil War and remained in a state of ruin for decades until Dalí and the mayor of Figueres decided to rebuild it as a museum dedicated to the town's most famous son in 1960. The museum also occupies buildings and courtyards adjacent to the old theater building. The museum opened on September 28, 1974] with continuing expansions through the mid-1980s. It houses the single largest and most diverse collection of works by Salvador Dalí, the heart of which was from the artist's own collection. In addition to Dalí paintings from all decades of his career, there are Dalí sculptures, 3-dimensional collages, mechanical devices, a living-room with custom furniture that looks like the face of Mae West when viewed from a certain spot, and other curiosities from Dalí's imagination. The museum also houses a small selection of works by other artists collected by Dalí, ranging from El Greco to Marcel Duchamp, and a gallery devoted to the work of Dalí's friend and fellow Catalan artist Antoni Pitxot, who became director of the museum after Dalí's death. Dalí is buried in a crypt in the Teatre-Museu basement.